Nothing beats summertime in my book, except maybe family time in the summertime! 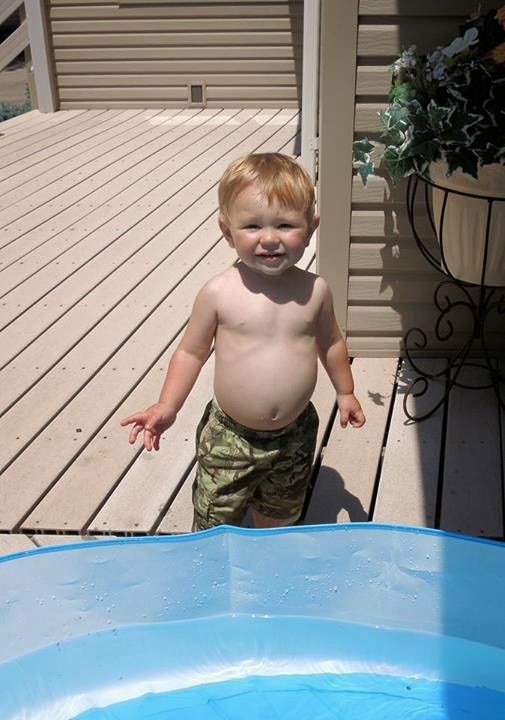 My grandson, Carter, is 18 months now and just the right age for exploring all the good things that go along with the warm weather. 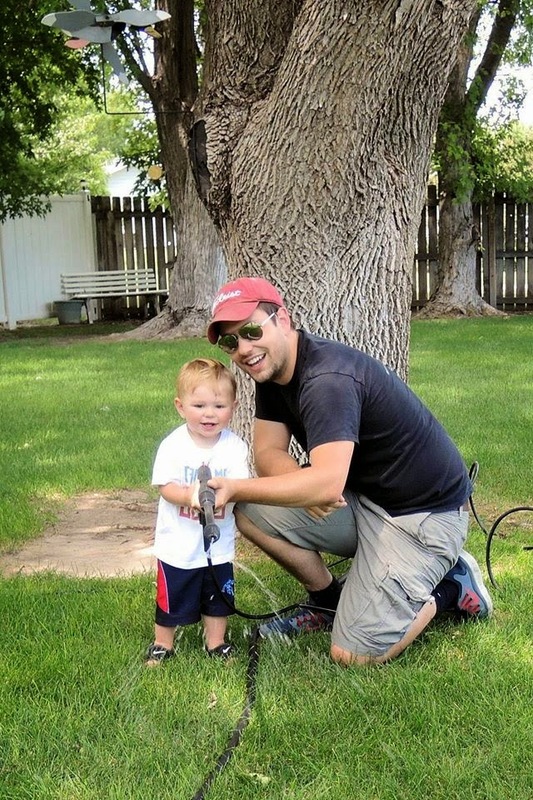 This is his father teaching him how to use the sprayer, and in case you don't figure it out from the angle of this photo, I was the target. He also likes to go swimming in his little pool. 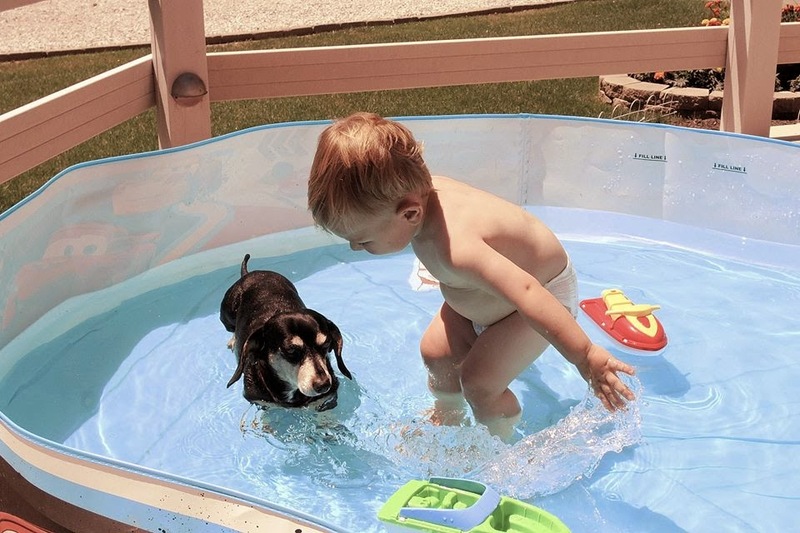 It's even more fun when his best friend goes in the pool with him. So in case anyone misses me or I'm a day or two late on a project, just know I'm off enjoying the good things in life! His laughter makes my heart swell. Post by Sherri Hartman Stokey. Sandra, you are so right. I love watching Carter explore and grow up. Family is so special. Our projects will always be there waiting for us.